Canvas Bag Denim Lined: Denim lining provides a soft structure for your bag. 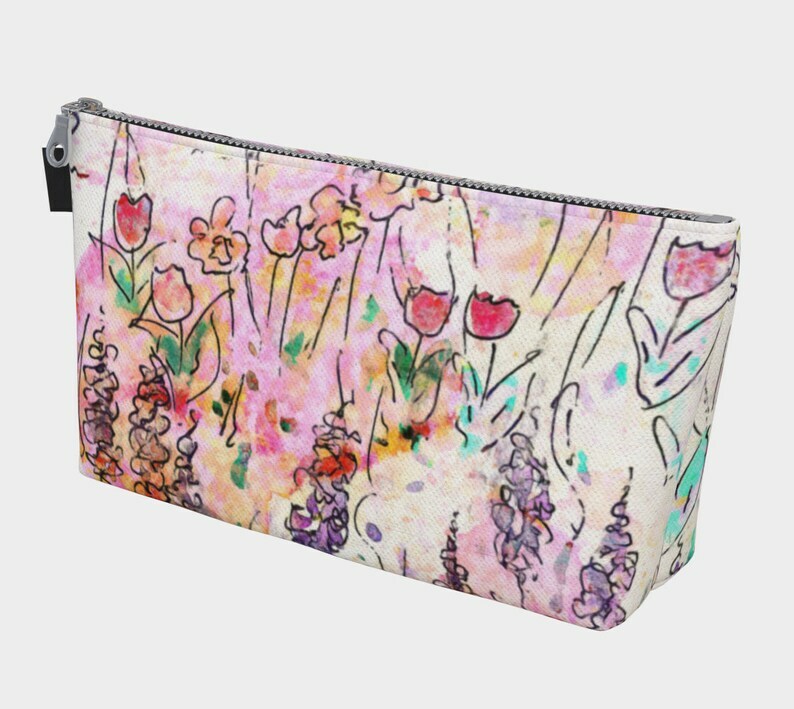 Vibrant Printed Canvas with inside Pocket for smaller items. Add a Vegan Leather Side Pull Tab to give you extra grip on your carry-all. Hand wash Cold water or spot clean. Hang to dry. Do not bleach. This is a custom made item with my artwork, created when you order it. Once the order is placed, manufacturing begins and each item is made to order. Images are as accurate as possible but monitors vary and each item is handmade so variations can occur. The items are all done by hand from concept to finish and Canadian made with attention to detail and environmentally friendly products. Art meets Fashion through creativity and passion.